When it comes to creating quality pathways for your property, it’s important to focus on the best products and installation practices for long-term enjoyment. Soil binders are a key additive that can make or break the durability of your paths. If you are currently dealing with water runoff issues with your natural pathways, it can prove entirely beneficial to find professional assistance. Howell Pathways is here as your source for quality pathway stabilizers in Texas, delivering cost-effective solutions nationwide for home landscapes, college universities, and more. Our polyurethane sealer acts as a quality binding agent to create a cohesive surface for your paths so they look great, resist water problems, and comply with ADA regulations. Our pebble and gravel stabilizer is easy to buy, easy to install, and easy to maintain. With years of experience and a long list of satisfied customers, we’re confident that we can improve the integrity of your outdoor paths. The longevity of your path system depends almost entirely on the design and structure of the soils. Last time, we highlighted a few key geotechnical factors that need to be addressed to ensure the best performance for your paths. Today, we’ll continue this subject by discussing stability concerns for pathways where moisture is present. When you are finished, be sure to contact us today to about Howell Pathways and our Klingstone Paths products! Your pathway is likely very porous, which can help in managing water runoff. In most cases, a degree of moisture retention can actually be beneficial. The key to a stable pathway is balance, as water molecules tend to bond with both soil particles and other water molecules. A certain amount of moisture is needed, as soils that are too dry cannot bind together without any sort of adhesive. When you introduce enough moisture to find your optimal water content, you’re left with a material that can be compacted with few concerns for swelling or pumping. The amount of moisture you utilize depends largely on the soil being used. Fatty clays require roughly 20 to 25 percent moisture content while sands and gravels hover closer to eight percent. Your pathway can absorb a certain volume of moisture before it passes its optimal moisture content and begins turning into mud. Whereas optimal moisture serves to fill pores and bind your material, too much water can actually weaken the bond by placing more moisture in the way of your soil particles. When the soil cannot hold the water molecules in place, that moisture is able to move about freely. Water without enough structure will begin to destabilize, creating serious problems for your pathway. The best way to protect your paths is to focus on their stability. Without being stable enough to support foot traffic, your pathway will quickly degrade to the point of needing immediate repairs. It’s important to invest in the right soil preparation measures, which often include conditioning the soil with optimum moisture levels and compacting that soil to minimum design standards. Installing your pathway to the correct standards can go a long way in preserving it from the damages caused by pedestrians and water runoff. Anyone that struggles with stability issues can benefit from finding a proven soil binder to enhance the durability of their existing pathways. 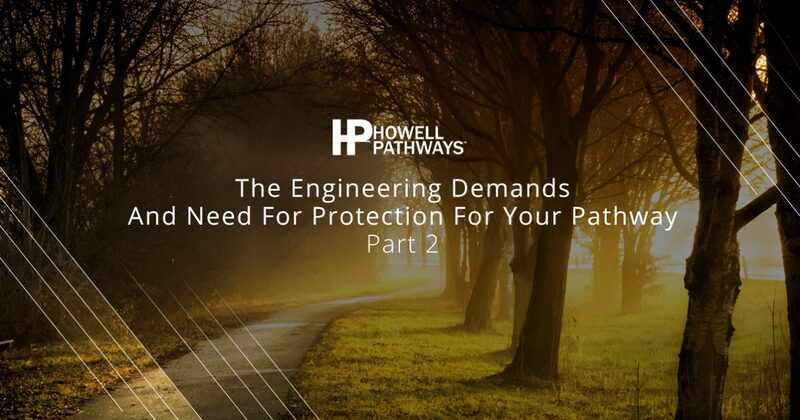 Howell Pathways is here to protect your paths for the long haul. Our soil stabilizer binds with your professional or garden walkways, helping to absorb water while retaining stability by connecting the soil particles. After joining forces with Klingstone Paths, our experts continued to perfect the formula to create an optimal soil binder for gardens, mulch beds, pathways, and more. Our product cures to an inert substance, producing no negative consequences for the environment or your guests. 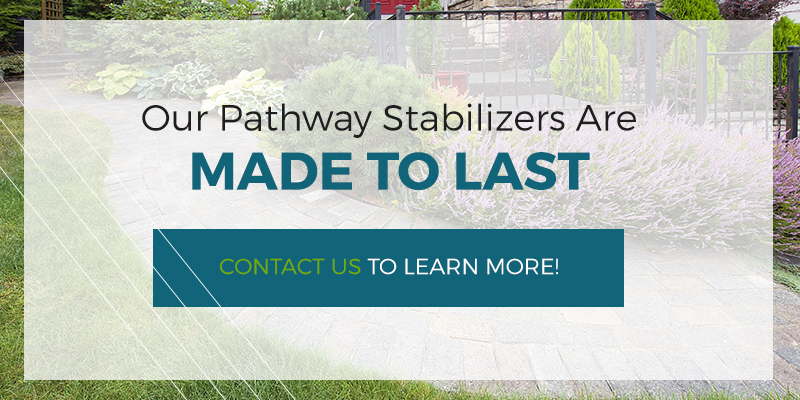 Howell Pathways’ stabilizer is also permeable, allowing your plants and trees to absorb the proper amount of moisture without compromising the landscape’s integrity. If your paths were not permeable, the amount of water runoff can collect and cause damage to the surrounding areas. In many cases, this runoff contains a number of harmful pollutants, each of which can wash out from your property and affect the local water supplies. It’s important to find a soil binding agent that can provide long-term stabilization measures while also being safe and durable. Howell Pathways is proud to be your Top Rated Local® pathway stabilizer in Texas, delivering amazing outcomes for each of our clients. We’re confident that we can deliver quality results for you that are both affordable and effective. Contact us today to learn more!